Welcome to Clear Vision Golf Cart Covers. You can use PayPal or pay with Credit Card. We currently have stock on hand and can ship your cover right away. Please allow 6-7 business days. 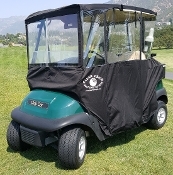 Copyright © 2016-2019 Clear Vision Golf Cart Covers. All rights reserved.